Partner Agency Listing - List includes each United Way partner charity, synopsis of services, and contact information. Summary Report - Submit with a copy of each pledge form. What Your Dollar Buys - It doesn't take a larger gift to make a large impact. This sheet details the local impact of various donation sizes. Mylinda Poster - Contact UW Staff to have your specific company campaign dates and dollar goal added to these posters. 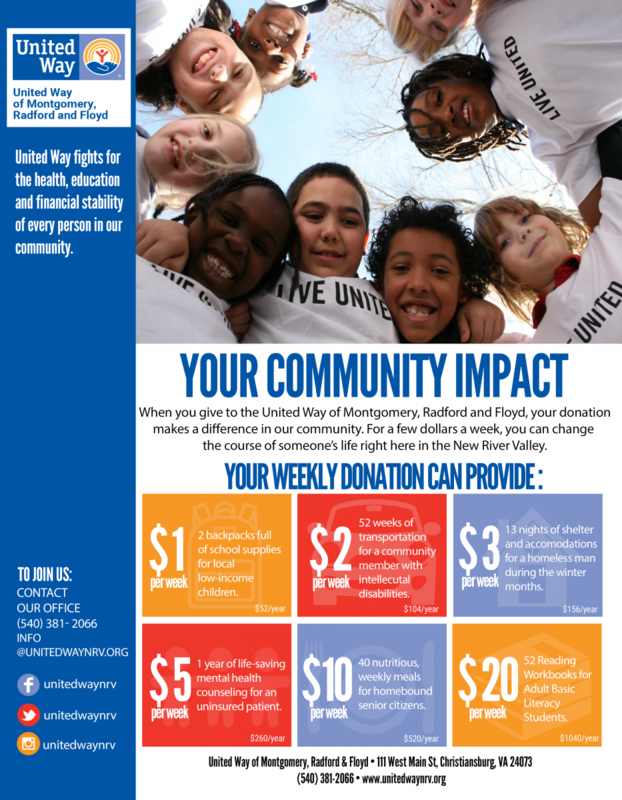 Why Do You Give to United Way?